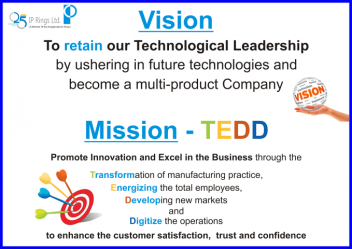 To retain our Technological Leadership by ushering in future technlogies and become a multi-product Company. 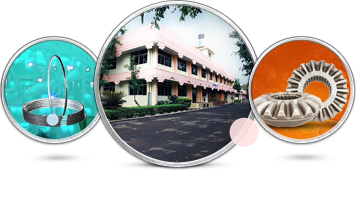 to enhance the customer satisfaction, Trust and confidence. 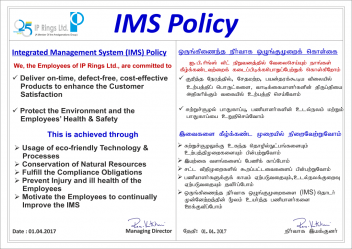 Integrated Management System (IMS) Policy. 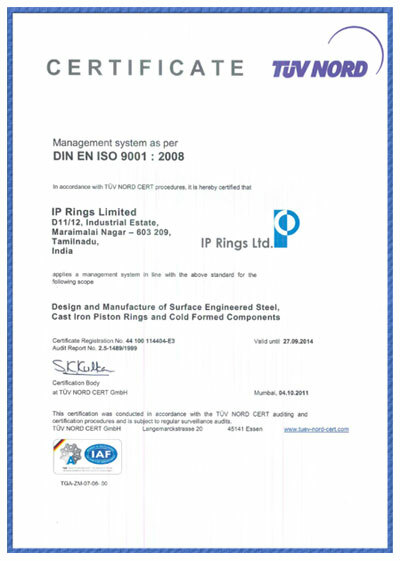 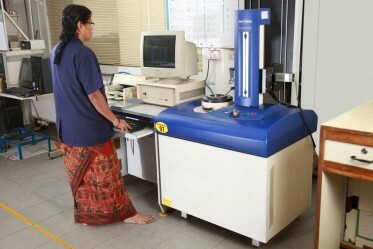 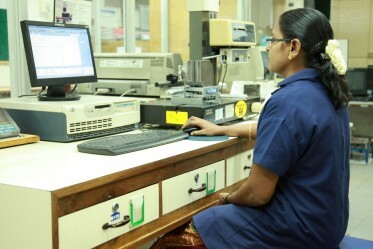 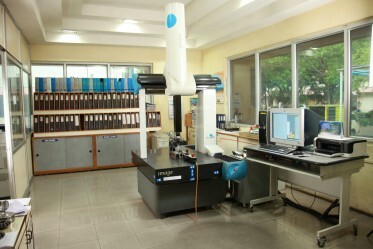 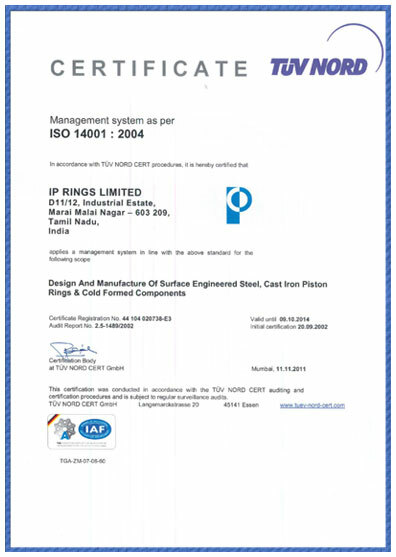 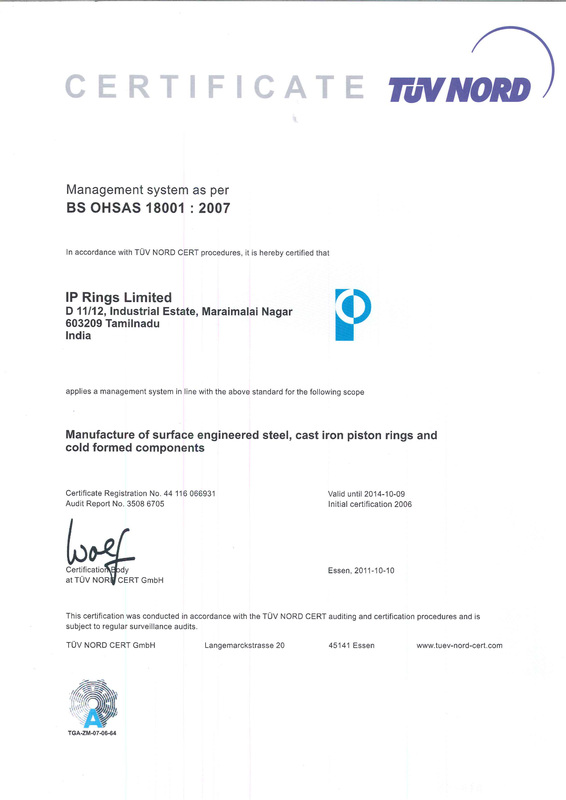 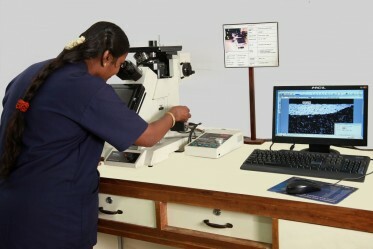 Right from its inception, IP Rings has been practising stringent quality control measures and built-in quality systems. 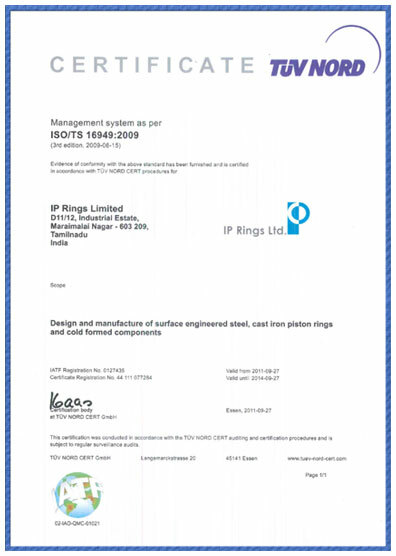 certification from the renowned RWTUV, Germany.